Adidas has taken on the House of Kardashian in its war against rival Nike. The $28 billion German sportswear maker has expanded its partnership with superstar Kanye West just as Nike reported weak results. Adidas still lags its swoosh-logoed rival in market share and profitability. Adding West – also known as the husband of celebrity Kim Kardashian – to its ranks may help give it more street cred. Seen from Nike’s perspective, this has got to hurt. Three years ago, West was aligned with Adidas’ main rival but dropped the Oregon-based company because the German group gave him more creative leeway and royalties. On June 28, Nike reported lower-than-expected revenue and said that future orders for delivery are lighter than anticipated. The heel-nipping from Adidas and Under Armour is starting to take effect. Even if Adidas’ classic kicks like the Stan Smith range are this summer’s must-have shoe, the road to victory over Nike is long. For starters, the $90 billion U.S. group has considerably higher operating margins – estimated to hit 14.5 percent in its next fiscal year, compared to Adidas’ forecast of just 7.4 percent for 2017, according to Thomson Reuters data. Nike has a 20 percent share of the U.S. sportswear market according to research firm NPD. Adidas is a distant also-ran at around 3 percent. Underestimating the popularity of West and his selfie-loving other half, though, is a dangerous calculation. Crowds lined up in stores to buy his earlier Yeezy shoe editions. Whatever the reason, people still want to keep up with Kardashians. 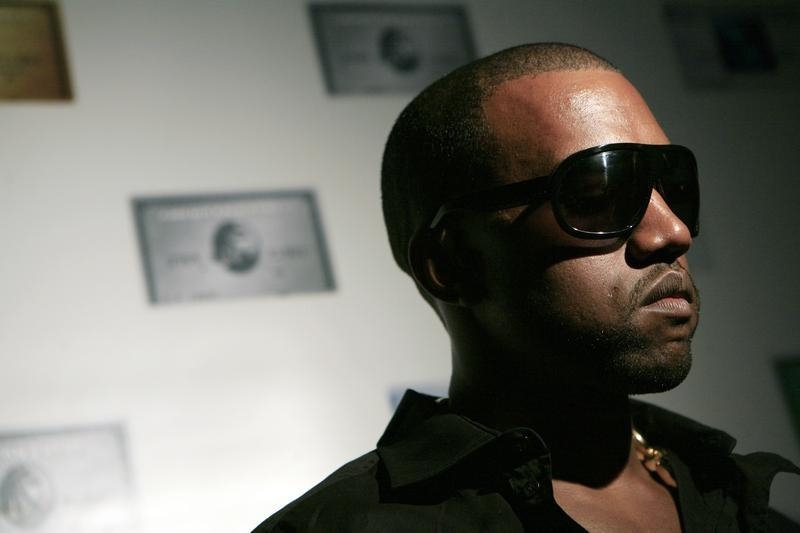 Music artist Kanye West in New York City August 29, 2006. Adidas said on June 29 it reached a new long-term partnership with musician Kanye West to create footwear, apparel and accessories. The plans call for retail stores for West’s Yeezy branded products. Nike missed its fourth-quarter revenue estimates on June 28. The company’s forecast for orders for delivery also missed expectations. Fourth-quarter revenue rose 6 percent year over year to $8.2 billion, below analysts’ forecast of almost $8.3 billion. Earnings fell 2.2 percent to $846 million compared to the same period a year ago.